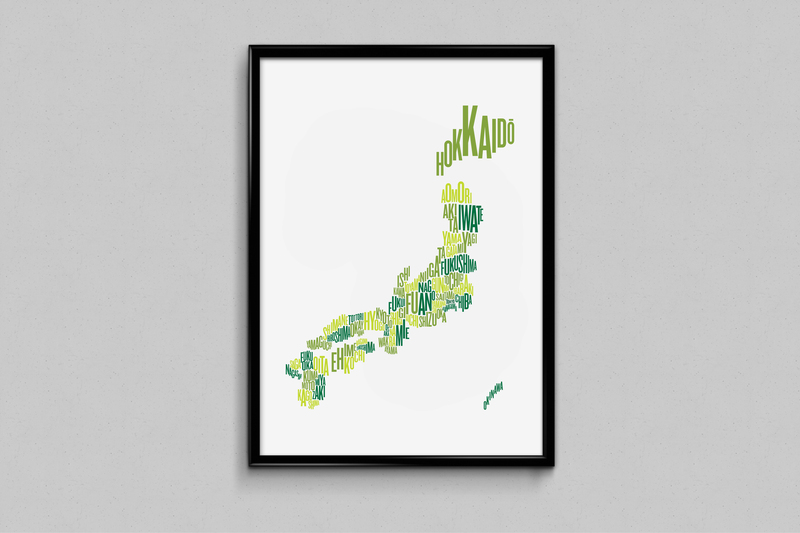 This Japan Fontmap represents all the prefectures that make up the outline of the country. 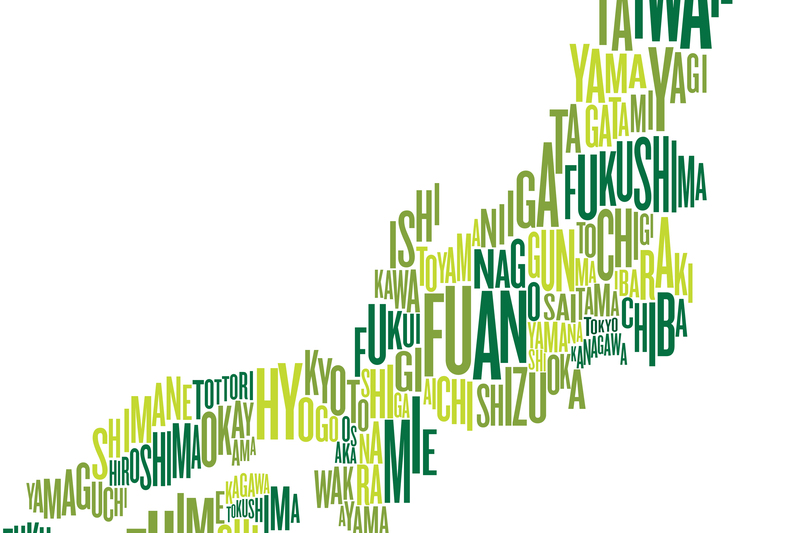 The outlines of each prefecture are represented by the arrangement of letters of its name. This creates a beautiful typographic map made purely from type.